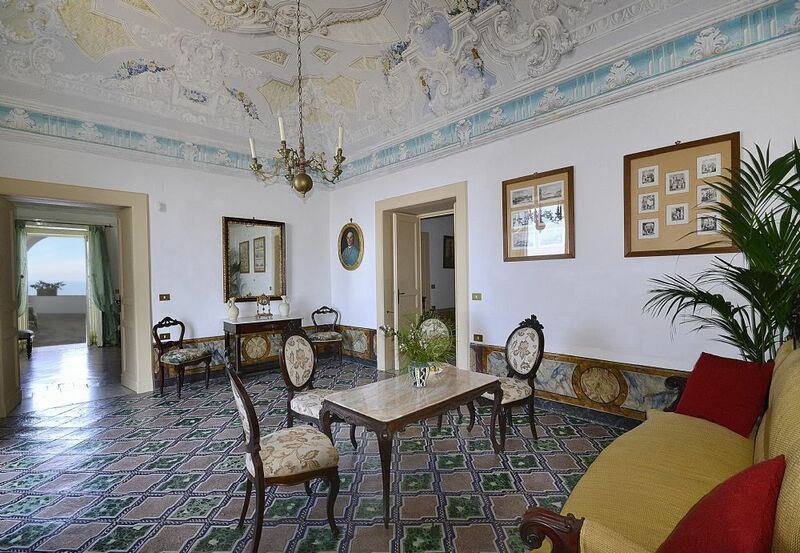 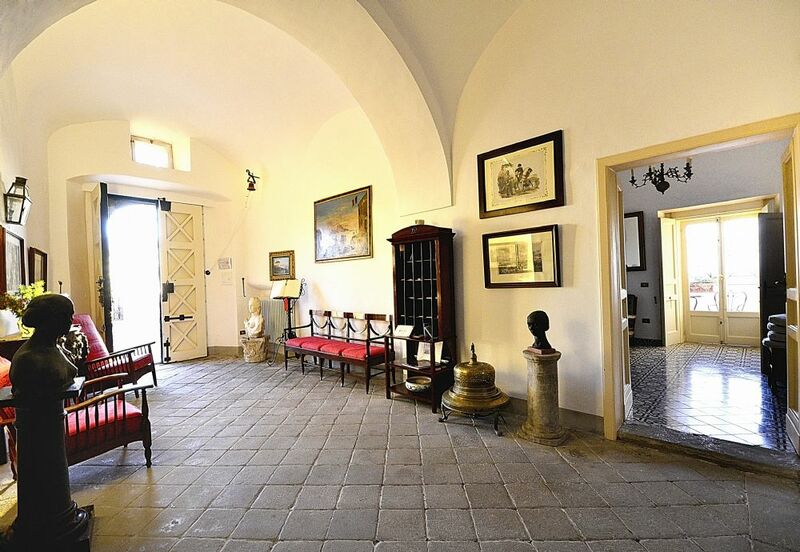 A 17th century villa which was once home to the king of Naples. 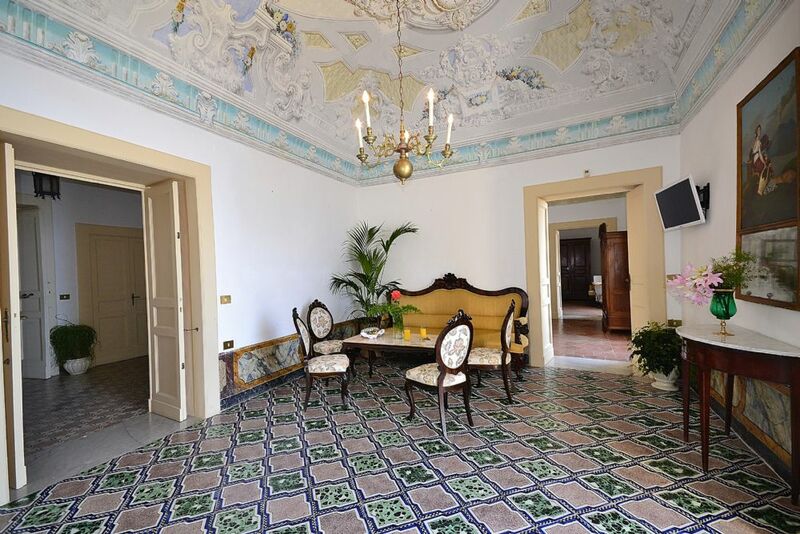 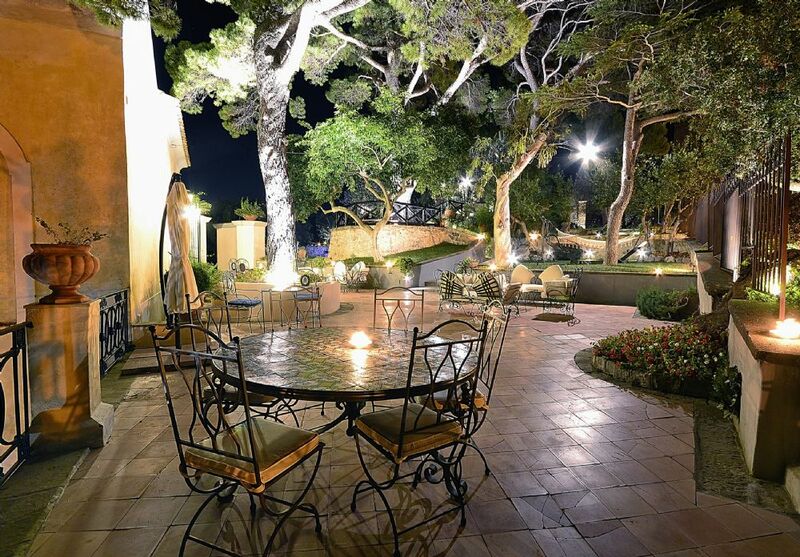 This charming palazzo has been lovingly restored to offer luxury accommodation in a magical location. 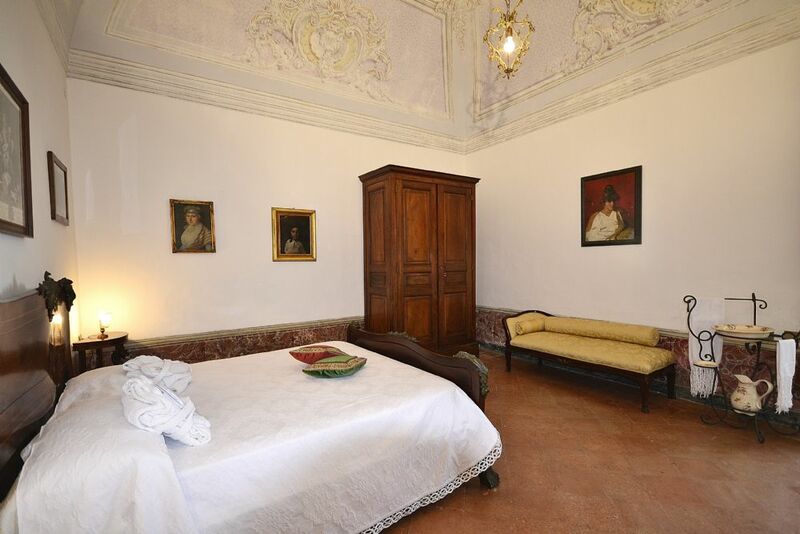 The cool, spacious interiors are furnished with splendid antique furniture & display beautiful frescoed ceilings. 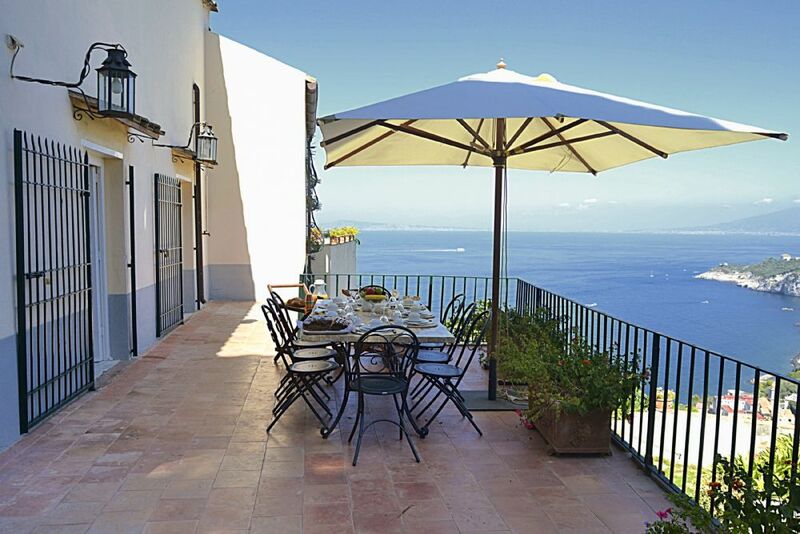 The sea views across to the island of Capri are breath-taking! 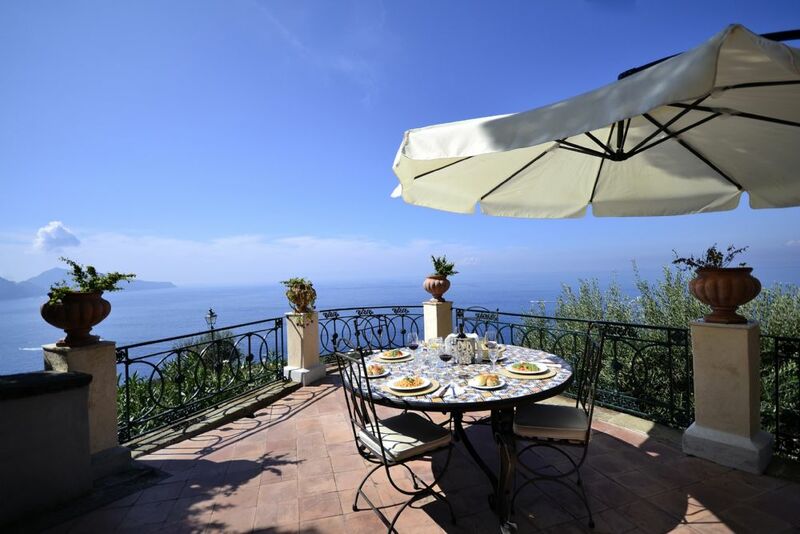 Villa vista Capri is situated on the Sorrento Peninsula between Sorrento, Capri and Positano within 60 Km of Naples airport. 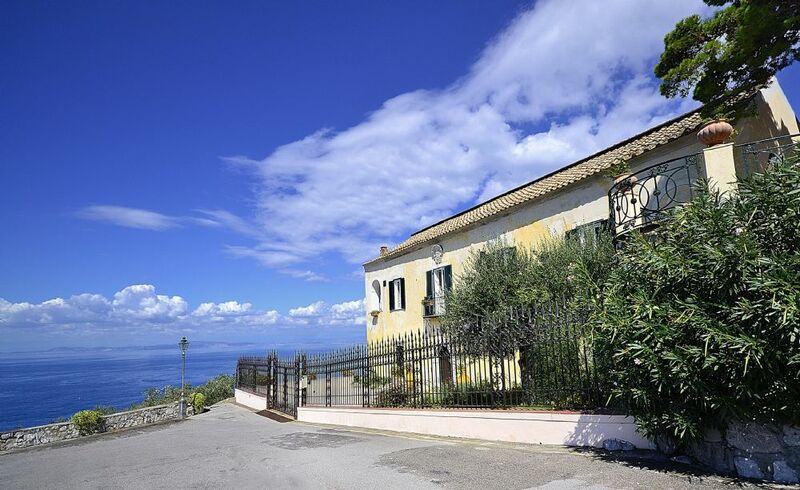 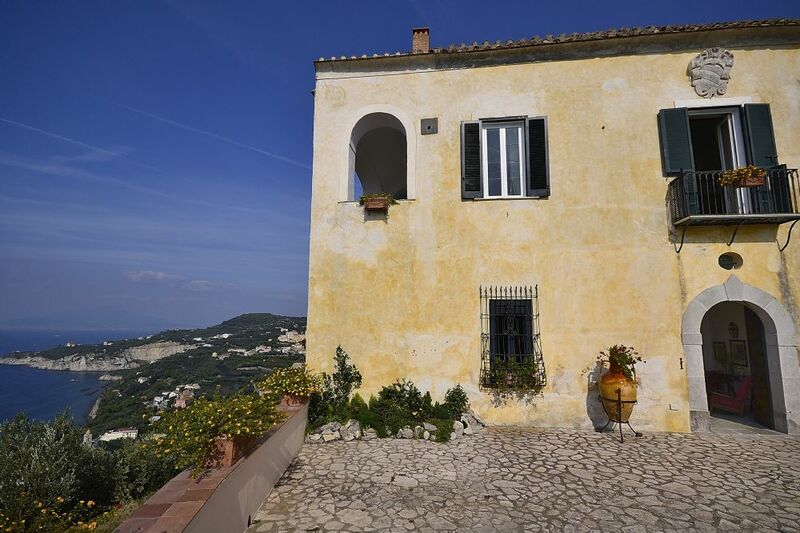 Ideally situated only 150 metres from the nearest restaurant, 1 km from the local grocery store, 2 Km from the town of Massa Lubrense and 3 Km from a blue flag beach. 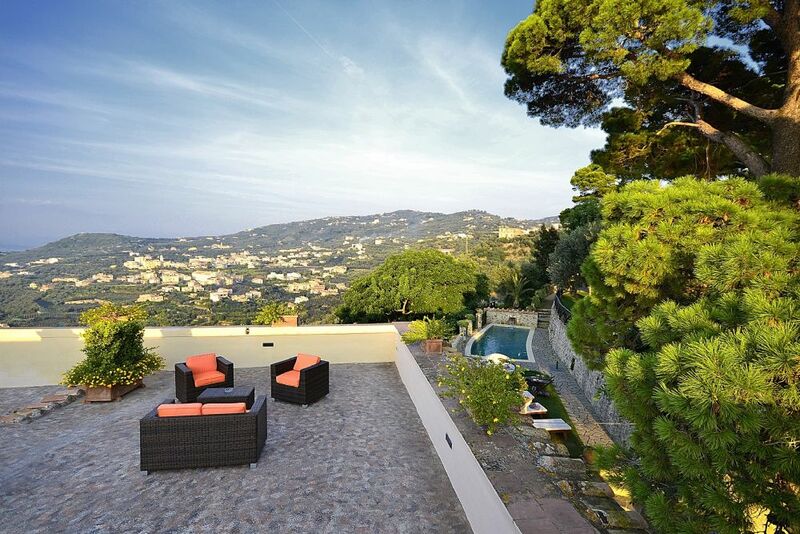 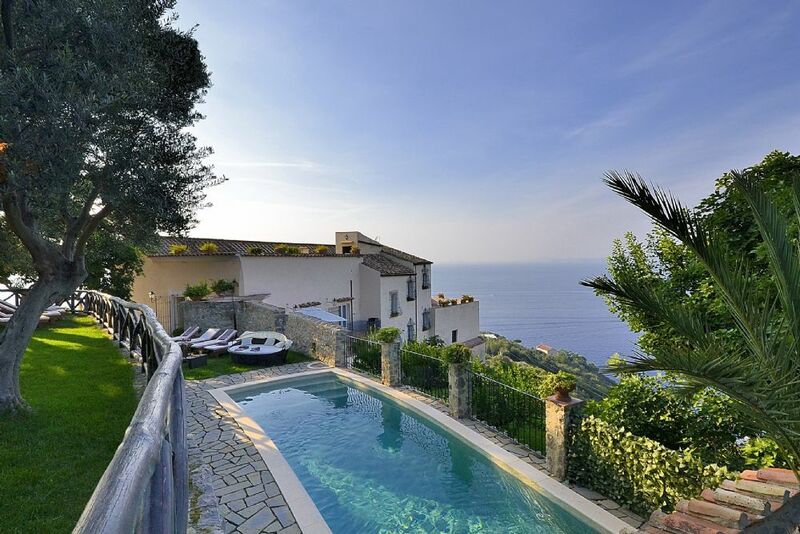 This beautiful villa makes for the holiday of a lifetime! 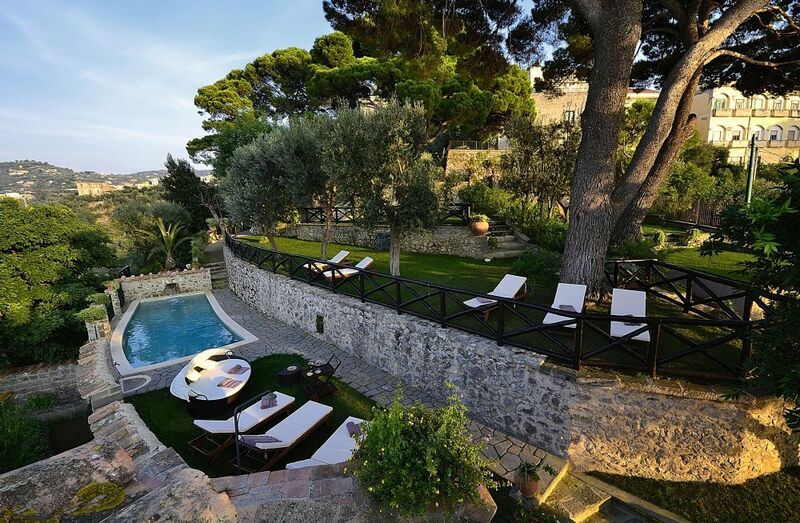 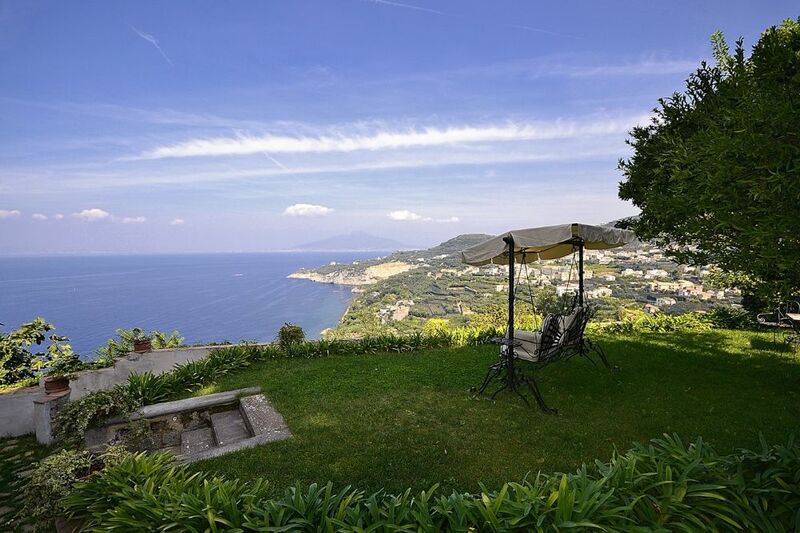 The swimming pool nestles in a secluded area of the garden with stunning views of the Gulf of Naples. 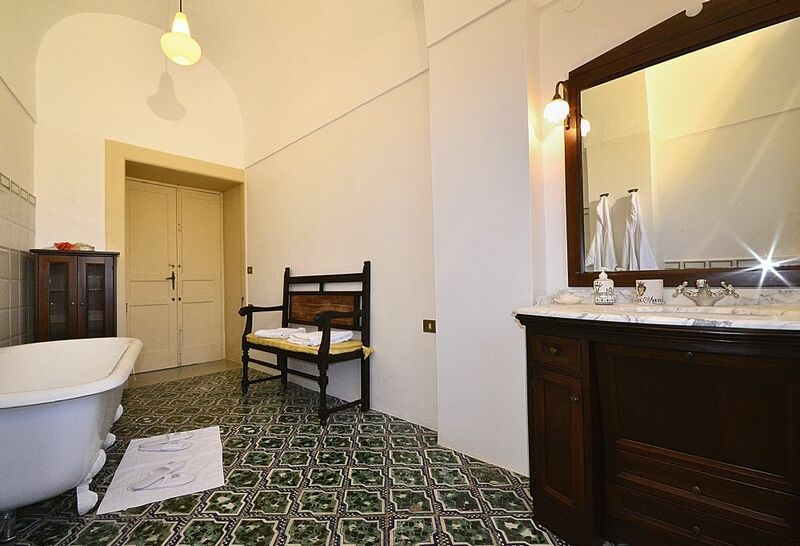 Wi-Fi internet access, private terraces and gardens, dedicated full-time staff, newspapers, daily maid, internet, welcome drink and daily breakfast included. 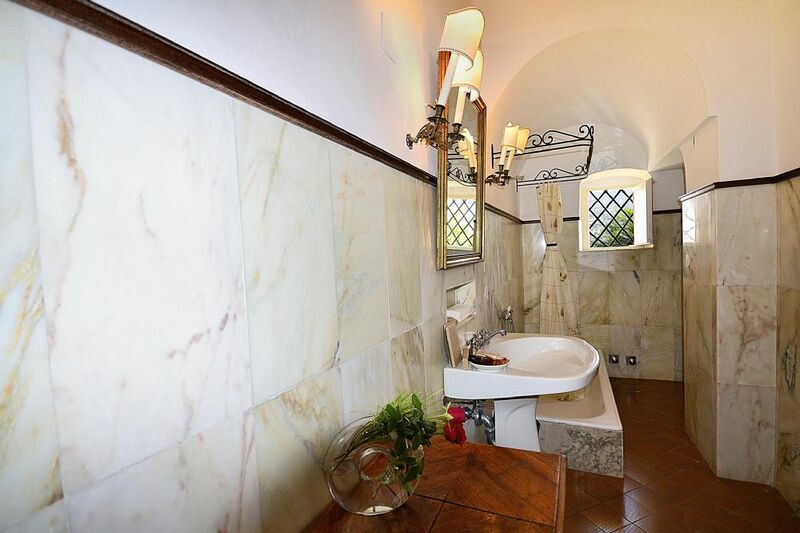 Please note: only the bedroom on the ground floor has an en-suite bathroom. 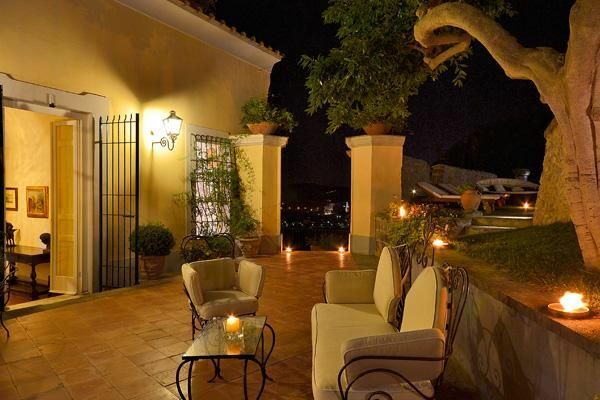 This is in order to respect the villa's historical architecture. 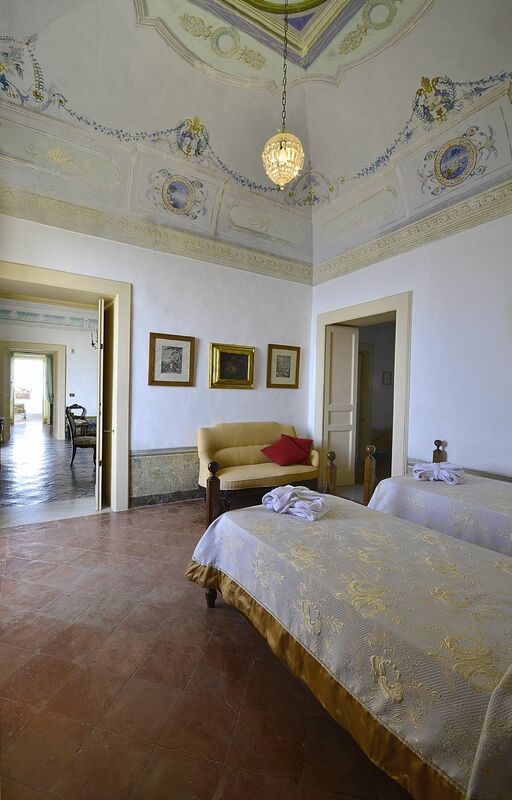 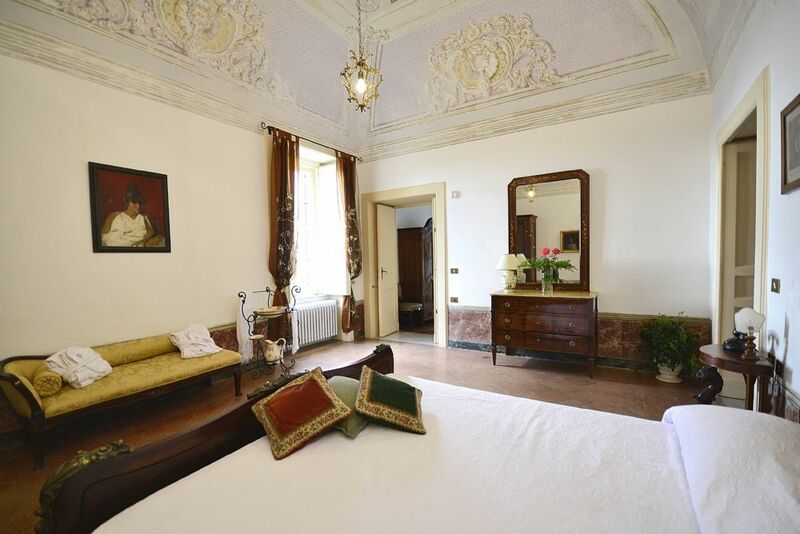 Particularly noteworthy is the "Murat Suite," where the King of Naples, Joachim Murat, stayed in 1808. 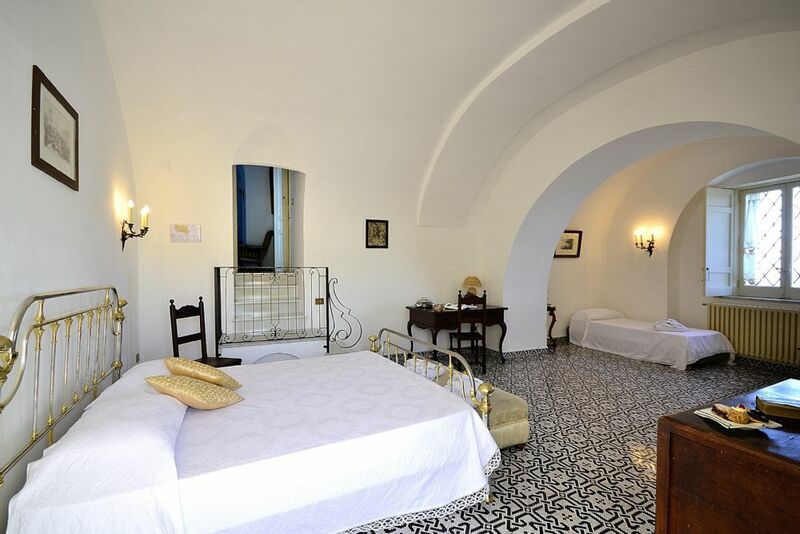 1 triple bedroom (3 steps down; 344 sq ft) with double bed and a single bed; en suite bathroom with shower, and access to the panoramic terrace. 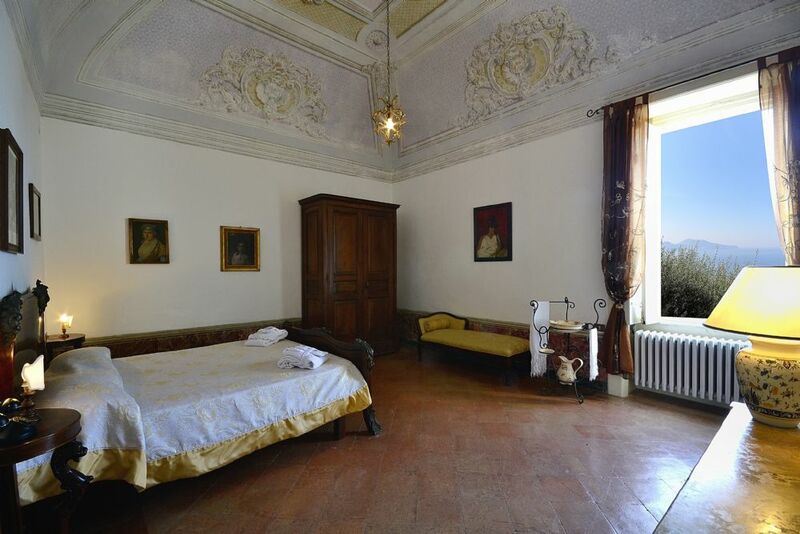 This room can also sleep 4. 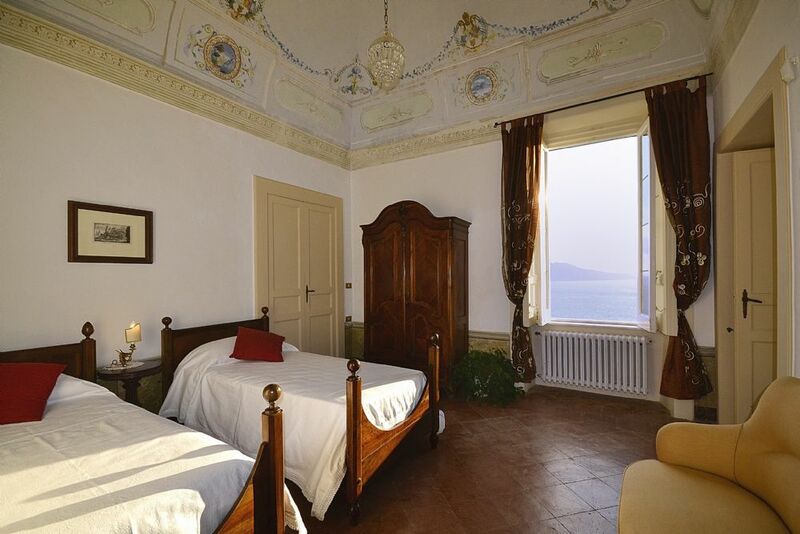 SECOND FLOOR: (sleeps 7) All of the bedrooms are frescoed and offer wonderful sea views, giving a sense of being suspended above the sea. 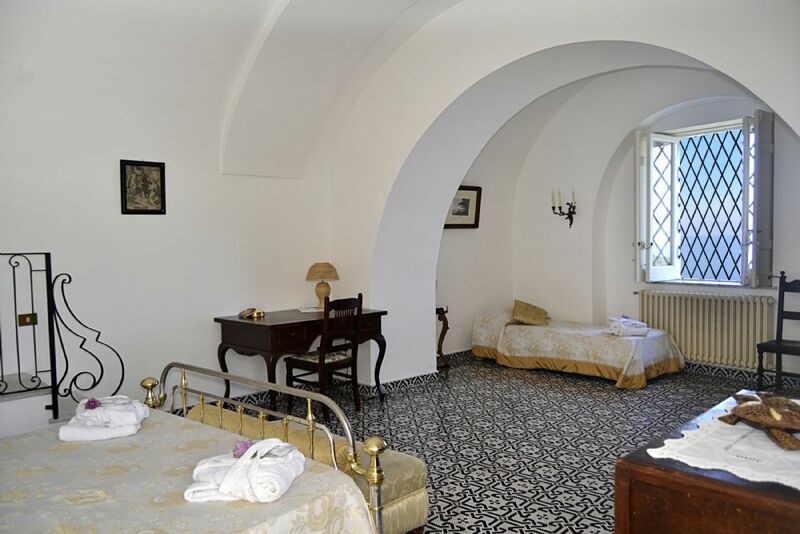 There is a caretaker and housekeeper on hand to ensure your stay is as comfortable as possible. 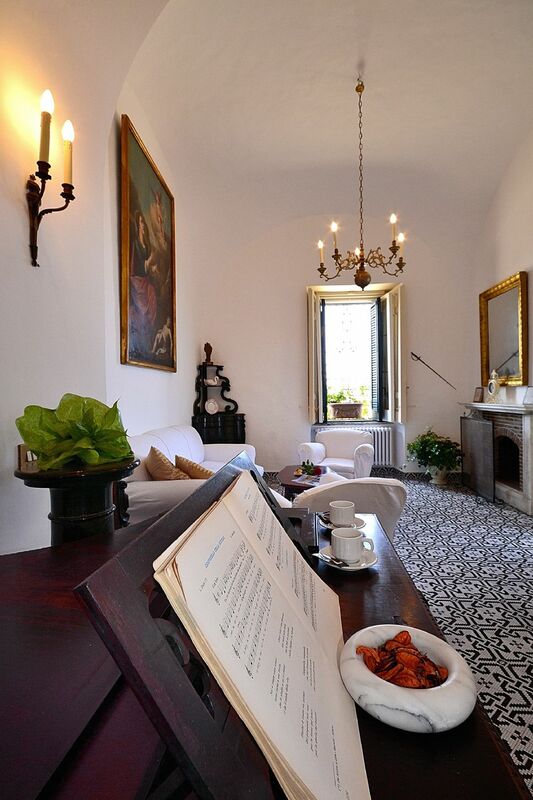 The villa is not air-conditioned, but fans can be provided if necessary. 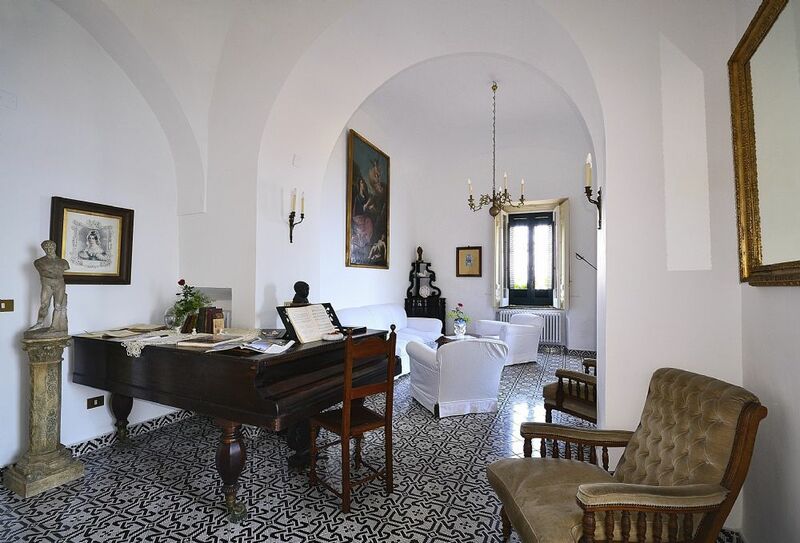 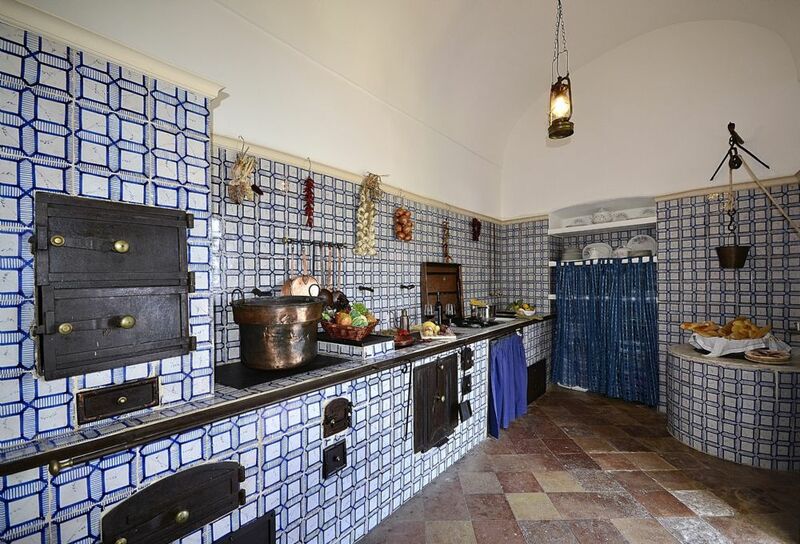 The thick stone wales, tiled floors and sea breeze tends to keep the villa cool. 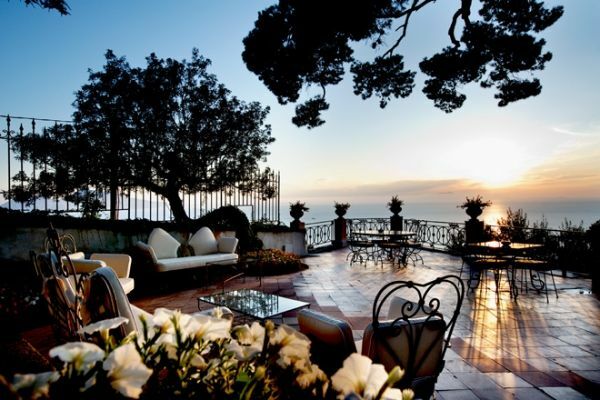 24 hour caretaker and housekeeper in the mornings. 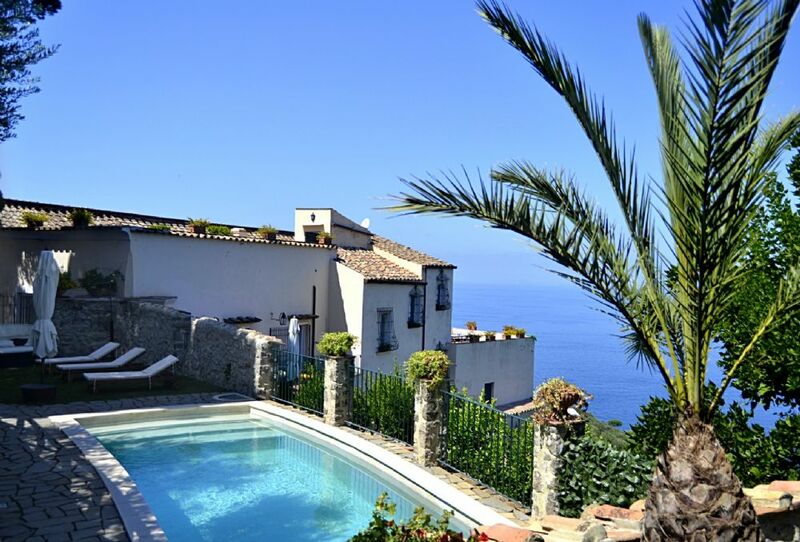 Water, gas, electricity, baggage, daily cleaning for 6 hours 11.00 to 14.00, bathroom linen changed daily, sheets changed 2 / 3 times per week, final cleaning, towels for the swimming pool, parking next to the villa, breakfast served from 08.00am to 11 am. 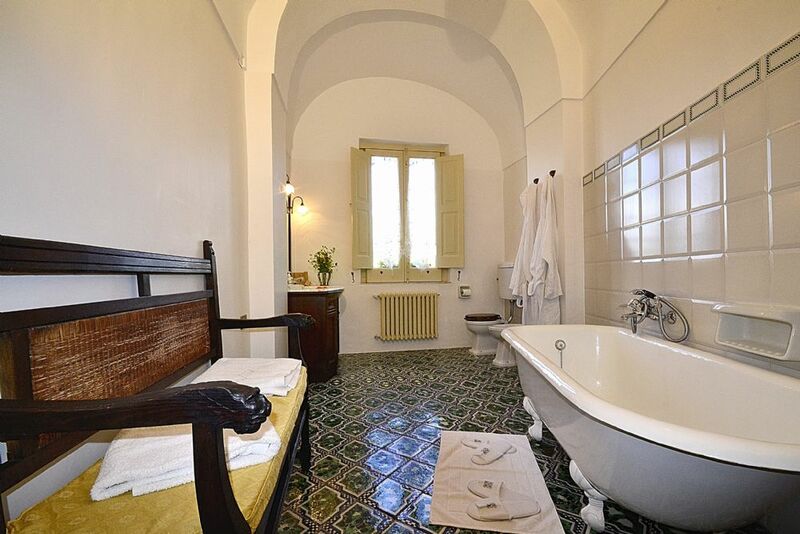 Also included: Newspapers, internet, courtesy bathrobes, slippers, and welcome drink. 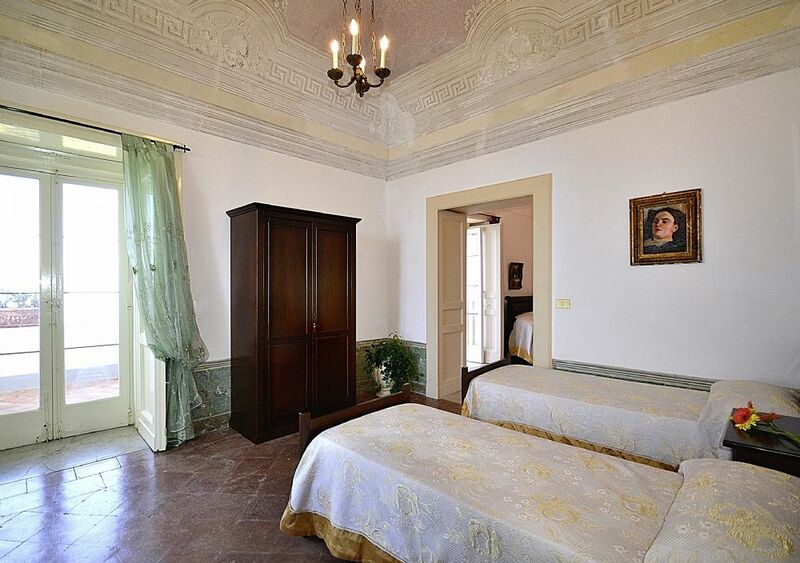 Fax, telephone,extra linen, laundry service including ironing all available at extra cost. 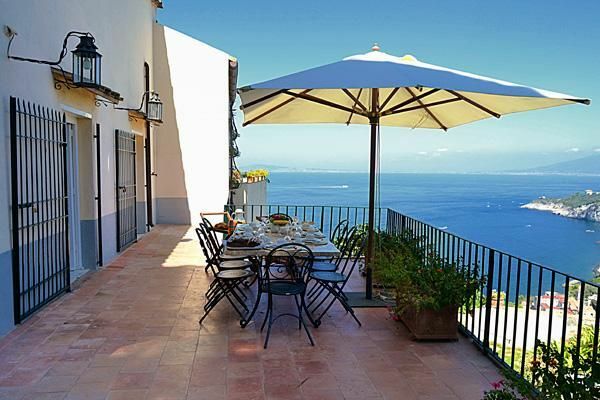 Transfers:We can arrange transfers by land or sea. 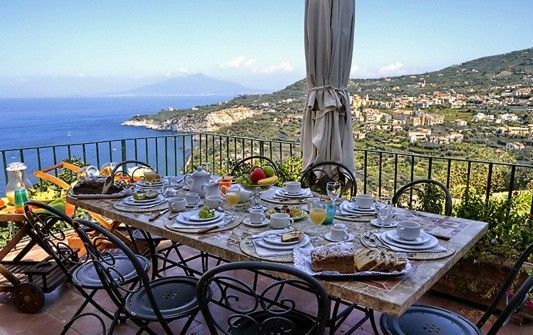 Transfers to and from Naples Airport, visits to Massa Lubrense, Sorrento, Capri, Ischia, and a tour of Campania to be agreed ? 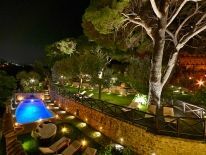 Car hire: those wishing to hire a car in Massa Lubrense will be put in touch with companies and car parks that have a special arrangement with the villa. 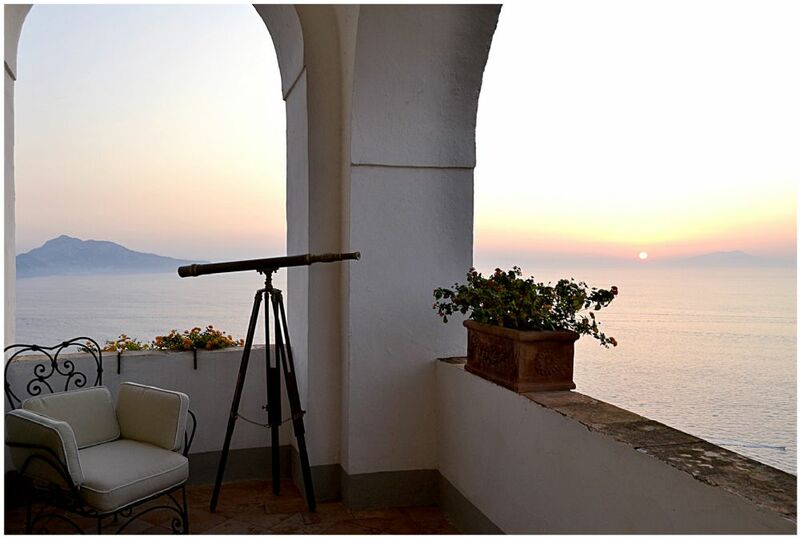 Boat rental: On request, boats can be rented with expert sailors as guides for tours along the Sorrento coast, between Mitigliano and Capri, and a tour round the Li Galli islands and along the Amalfi Coast. 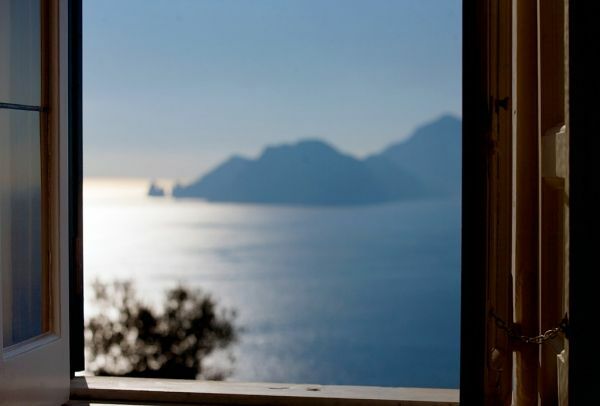 Trekking and Snorkeling: We can organise walks with expert guides to discover the nature trails in the area, like those from Nerano to the beautiful Bay of Leranto, where it is possible to go snorkelling with highly qualified staff nearby. 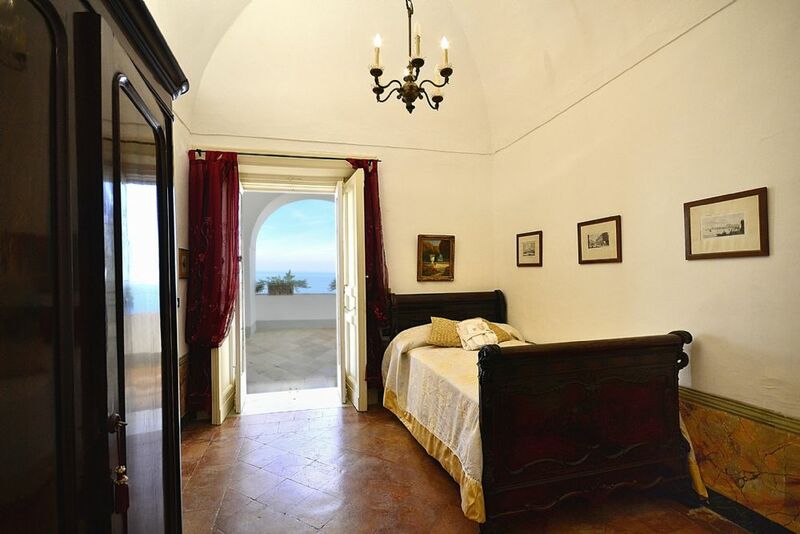 Other places suitable for this are Mitigliano, Vervece, The Cave of Zaffiro, Vetara and Secchetella. 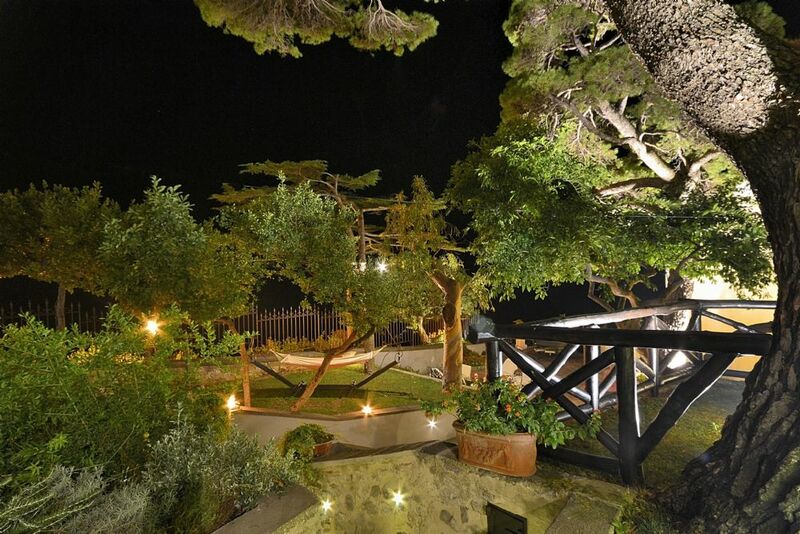 No request is too big or small! 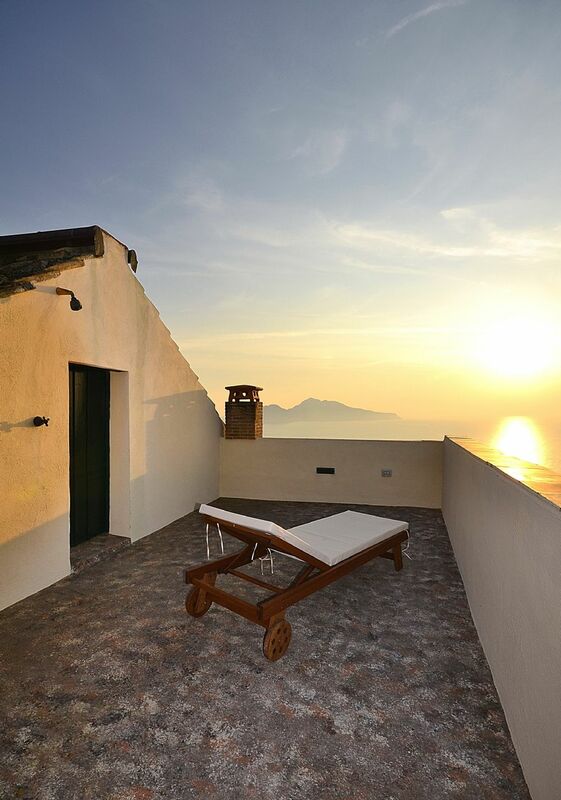 Villa vista Capri is located in the village of Santa Maria Annunziata in the heart of one of the most enchanting spots along the Sorrentine Coast — Massa Lubrense. 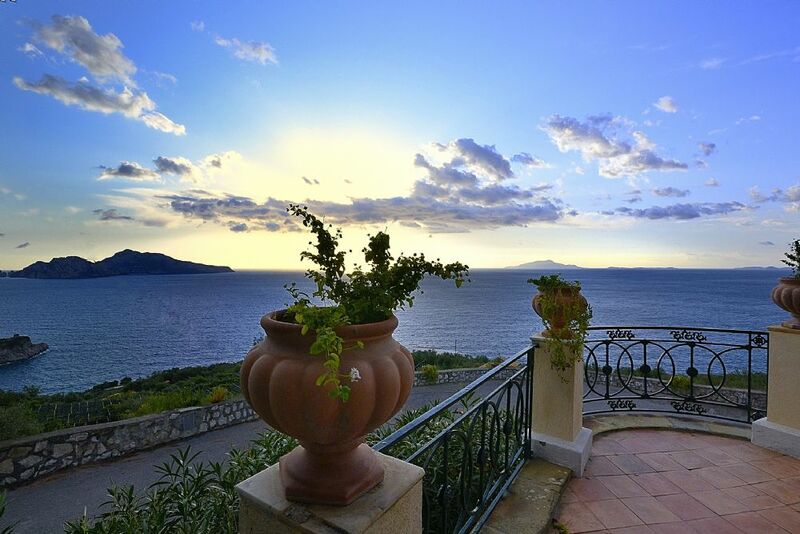 This is the mythical Land of Sirens of Homer's Odyssey. 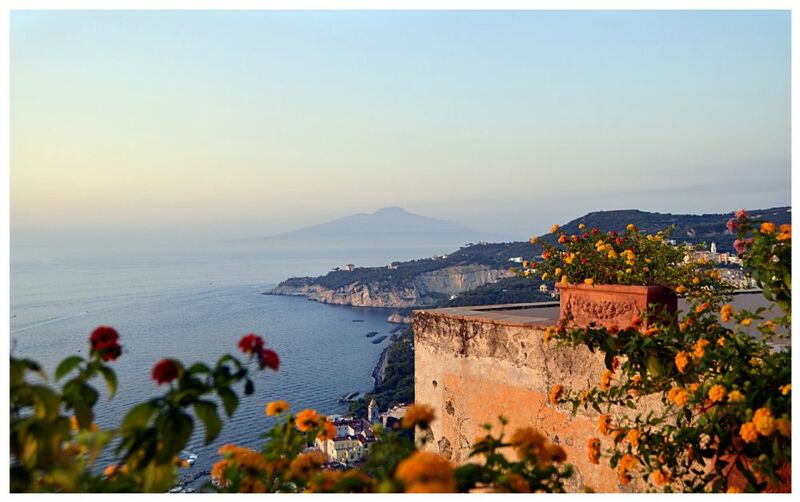 Massa Lubrense is the only beach in the province of Naples to have earned coveted Blue Flag status. 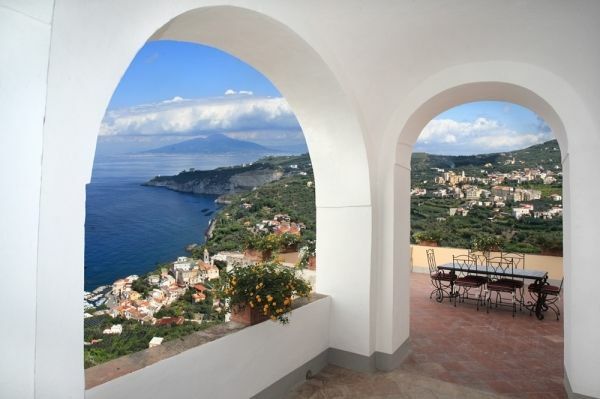 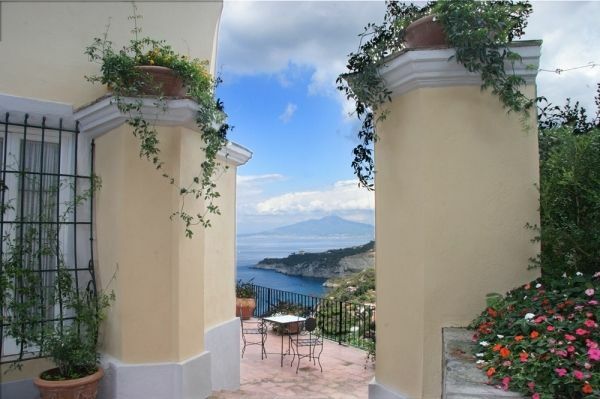 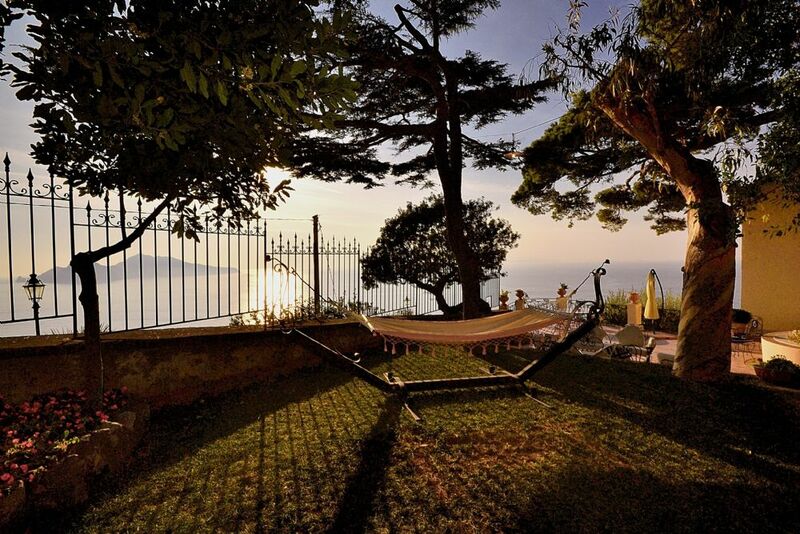 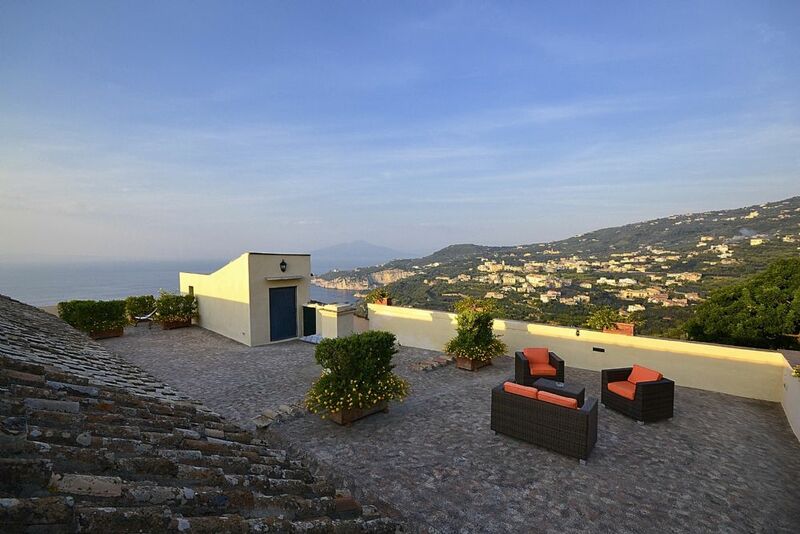 This historical luxury villa is set in one of the most beautiful landscapes of the Sorrento coast with panoramic views of Capri, Ischia, Marina della Lobra and Vesuvius from its windows, balconies, terraces and solarium. 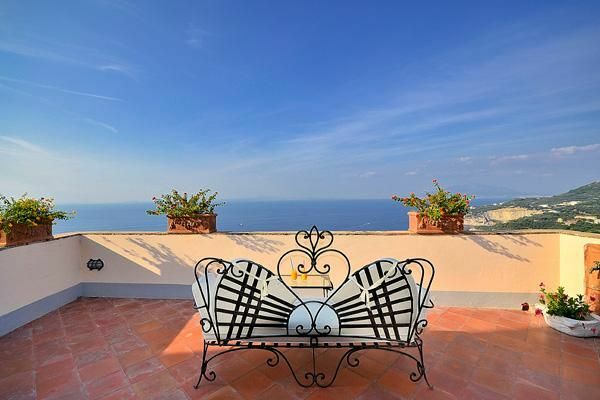 The property is located along thirteen miles of magical coastline coastline, with a network of hiking trails - perfect for exploring the local area.